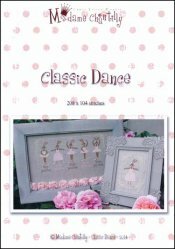 Classic Dance [H5849] - $12.22 : Yarn Tree, Your wholesale source for cross stitch supplies. Cross stitch pattern by Madame Chantilly. A chart perfect for dance lovers. Stitch count 208 x 104.